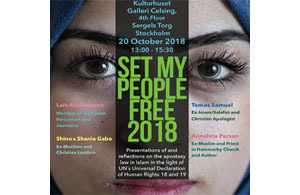 THE UNIVERSAL DECLARATION OF HUMAN RIGHTS is a declaration adopted by the United Nations General Assembly on 10 December 1948. 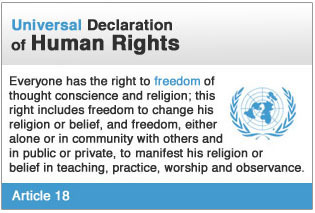 The Declaration represents the first global expression of rights to which all human beings are inherently entitled. MAHMOUD MOHAMMED TAHA (1909-1985) was a Sudanese religious thinker and leader. He was born in Ruffaa, a town on the eastern bank of the Blue Nile. He was educated as a civil engineer in a British-run university in the years before Sudan's independence. WHICH GOD? 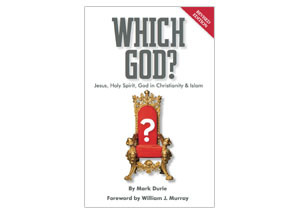 JESUS, HOLY SPIRIT, GOD IN CHRISTIANITY & ISLAM - by Mark Durie demonstrates that Christians have good reasons to challenge the Islamic position that Allah of the Quran is the same as the God of the Bible. 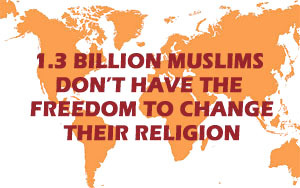 WITHOUT FREEDOM TO CHANGE RELIGION there is no religious freedom. 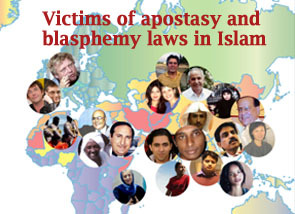 Apostasy and blasphemy laws in Islam strip the individual from the right to have freedom of thought, religion and conscience, and deprive the ex-Muslim the right to exist in an Islamic state. 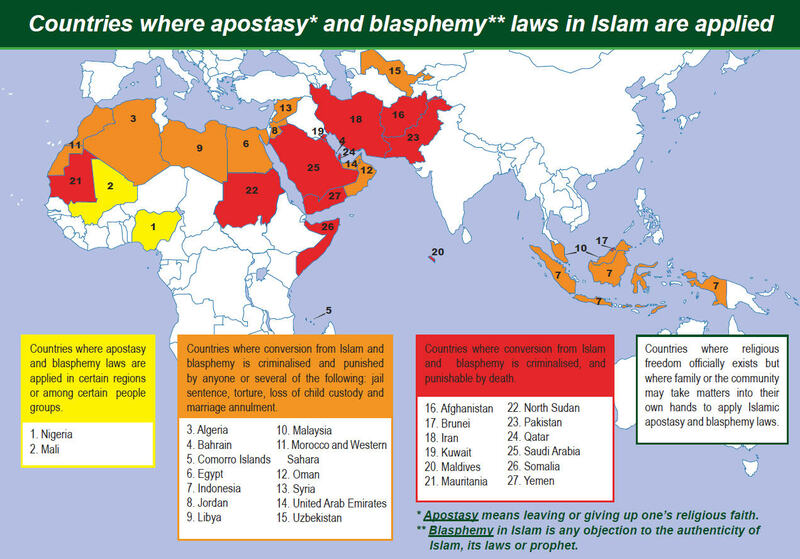 COUNTRIES WHERE APOSTASY AND BLASPHEMY LAWS are applied today. 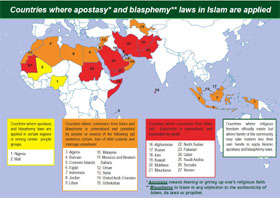 Click on map to see a larger view. 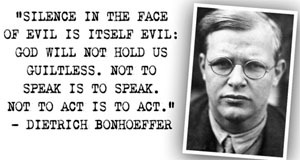 We are not to simply bandage the wounds of victims beneath the wheels of injustice, we are to drive a spoke into the wheel itself.